For many the idea of marking up a book to make it into a piece of art seems almost sacrilegious. It is widely held that books, being the key to literacy and knowledge should be well read and then kept, for all time, on a shelf for others to enjoy. The unfortunate reality is that tons and tons of books end up in landfills. 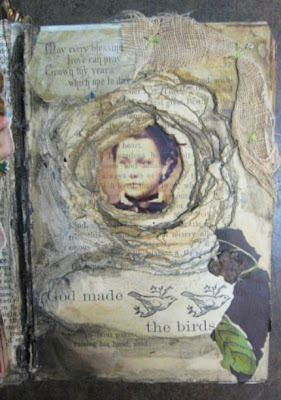 This introductory workshop will teach you the basis skills you need to create your own altered book and offers an opportunity to explore your muse and to give new life to a discarded object. Cost is $40.00 and $10 for materials - click for more info in a previous blog post or email for details! 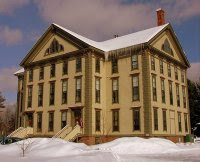 Next Intro to Altered books class is 5/2 at Seminary Arts Center in Waterbury Center. More info to come! Thanks everyone who came to the Altered Tin Shrine Demo this afternoon! What a blast that was making art on the spot in under 2 hours! Looking forward to a full day of fun at Artist Medium tomorrow! Come and play as we give new life to the page. I'm making a huge push this year to develop a marketing strategy, clean up my branding (which means a major overhaul to my blog, shop banner, business cards and packaging) and get a little more savvy with the many tools available on the Internet for small businesses. I have to take it on in little pieces, otherwise I will become completely overwhelmed. The task itself seems daunting to me. I haven't mapped out a marketing strategy since I was an undergrad in 1988. It's not like it is rocket science or brain surgery. But, it is work. Work that I need to find time and energy to do on top of my demanding day job, my familial obligations and my need for sleep. I have joined Facebook. Originally, talked into this by an old high school friend, I have found that there is a huge DYI artist community on Facebook. Fan Pages help you market your product and promote your successes. Networking and connecting with people has it's advantages. I have been promoting my altered book classes on FB and it seems to have some tangible effects. Linkedin is another network that I am trying out. If anything, just to keep in touch with my professional connections. Then there are the Google tools: Analytics and Webmaster tools- I have started both applications, but don't really know how to use either one. I probably should be using other tools but I have no idea what. 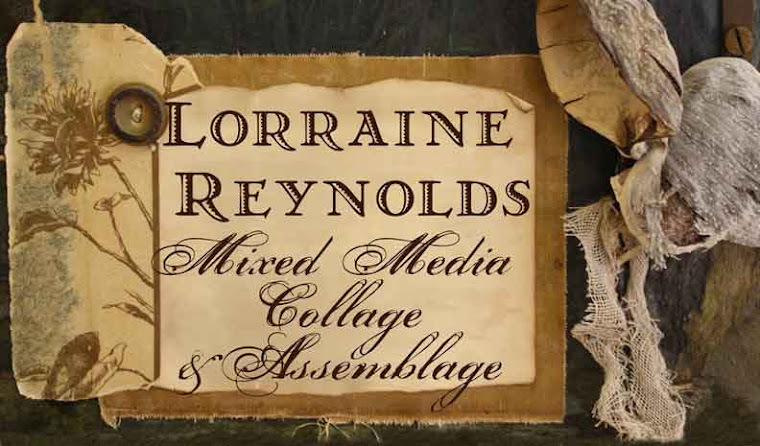 Press kit/release for teaching, art shows, etc. Then there is collecting and organizing feedback. and oh yeah, make more art! If I could only find about 4 more hours in the day. Thanks Sant Angelo Designs for featuring me in yet another one of her breath-taking treasuries! Simply lovely. 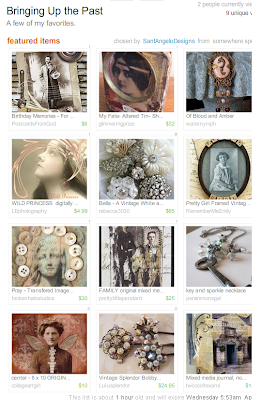 It's wonderful to be in this treasury with so many other Etsy artists that I adore!